Deciding to use the home equity you have taken years to build up to clear short-term debts is really not something you should do impulsively. PROPERTY NEWS - For homeowners who are really struggling to make ends meet this month, it may seem like a very good idea to "borrow" some money from your access bond to help pay the bills - or even to "consolidate" all of your debts into your home loan account. "At the start of the year we always see an increase in what the banks call 'further advances' - which is when homeowners re-borrow all or part of the amount they have already paid off their bond in order to finance something else," says Rudi Botha, CEO of BetterBond, South Africa's leading bond originator. 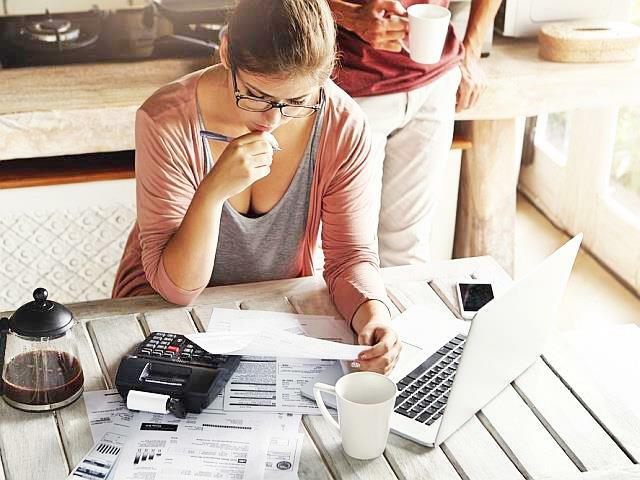 "However, deciding to use the home equity you have taken years to build up to clear short-term debts is really not something you should do impulsively, as it has many possible implications that could drastically affect your financial future." For a start, he says, pulling cash out of your bond account to pay off other debts will push up your monthly bond repayments, and could put your most important asset at risk if you cannot afford the new instalments. "It's bad enough to miss car payments or credit card instalments, because that dents your credit record and could result in the car being repossessed and / or debt judgements being taken against you. But if you can't manage the higher monthly repayments on your newly enlarged bond, you could lose your home. In fact, we believe that debt consolidation using a home as security should only be considered by extremely disciplined borrowers who have the means and a plan to pay back all of the equity they have extracted within a very short period - so that they don't end up paying a huge amount of extra interest on their bond." In addition, says Botha, borrowers need to know that there are costs associated with extending a bond, such as a valuation fee, bond registration fee and legal fees, and that if you don't have cash to cover these but decide instead to add them to your debt, you could be paying interest on them over the whole life of the loan. "Also, you should be prepared to not take on any new debt commitments and not use your credit card after consolidation, so that you don't risk getting into deeper debt trouble than before, with a bigger monthly bond instalment to pay plus the repayments on the new debt. You can't just keep using your home as an ATM." "In fact, doing this might even result in you paying off their bond faster than originally anticipated - and saving yourself many thousands of rand in interest." But before they even consider consolidating, he adds, borrowers must establish what interest rate they will be charged on the new bond total. "This will very likely not be the same as you are paying now and could make all the difference to the viability of your overall debt reduction plan. You should preferably seek help with this from a reputable mortgage originator such as BetterBond, which will negotiate on your behalf to ensure you get the best interest rate possible," he advises. "At the moment, we are finding that the average variation between the best and worst interest rate offered on a bond application is 0,5%, which could translate into very significant savings for the borrower, at no cost for our service. On a loan of R1,5m, for example, the potential savings amount to more than R120 000 worth of interest over the lifetime of a 20-year loan, plus a total of about R6 000 a year off your bond instalments."